Ramen lovers, please take note. 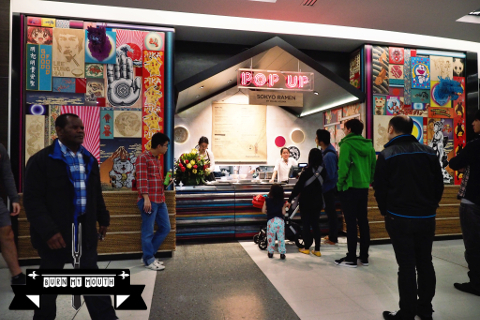 The famed one-hatted Japanese restaurant, Sokyo, has opened up a ramen pop up store in the food court of the Star. This pop up store will be in operation until the end of November. Arriving here on a Saturday night, there was a long queue, but the service was efficient and quick. However, we observed some tension between the service staff taking orders and the kitchen staff who sometimes mixed up the orders. 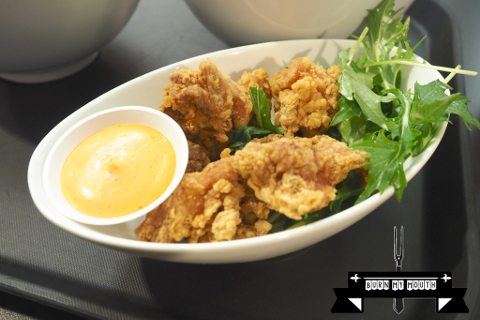 Mai-San’s Fried Chicken ($9) came with a few pieces of marinated sake soy chicken karrage served with spicy mayo with a side of mixed green with yuzu dressing. The chicken was nicely fried and well seasoned, which was crispy on the outside and soft on the inside. There was a nice kick from the spiciness of the mayo to the chicken. The mixed green vegetables added a refreshing touch to the dish. A very enjoyable dish. 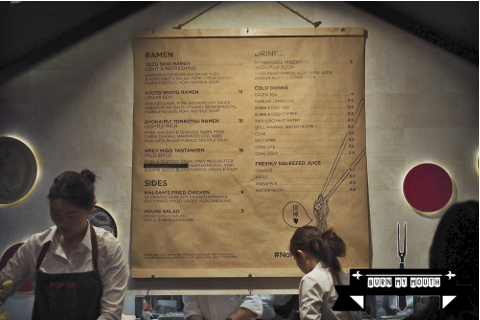 There were four styles of ramen to choose from, and each bowl came with a nori sheet stuck to the side of the bowl, which had the name of the store imprinted. Kyoto Shoyu Ramen ($15) was a chicken dashi, pork backfat, soy sauce kaeshi, pork cheek chashu, marinated egg, nori, noodle soup. The noodles were cooked perfectly in an “al dente” style. The broth was delightful, with subtle flavours of saltiness from the soy and the sweetness from the chicken dashi, with little bits of pork backfat scattered in the broth adding extra flavour. Gyokairui Tonkotsu Ramen ($15) was a pork, chicken & seafood dashi, pork cheek chashu, marinated egg, nori, sesame seeds, black fungus noodle soup. The noodles were again cooked perfectly. The broth was a bit more rich, with a nice smoky flavour adding to its complexity, but it was lighter and not as rich and heavy as the broths of tonkotsu ramens in other places. 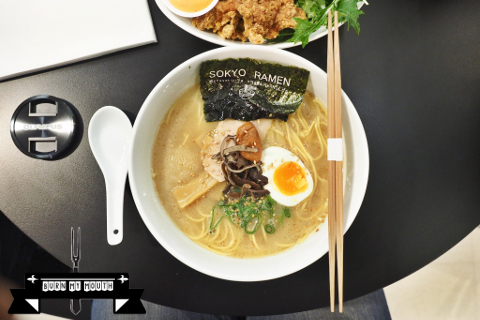 We actually prefer the lighter broth here – with its complexity of flavours expected from a tonkotsu broth, but without the heaviness of the overloaded collagen or fat that we tend to see in other places. The pork cheek chashu in each bowl of ramen was lovely, and the eggs were cooked to perfection although they seem under-marinated. We highly recommend anyone who loves ramen to check out this place before the end of November when they are scheduled to be closed. 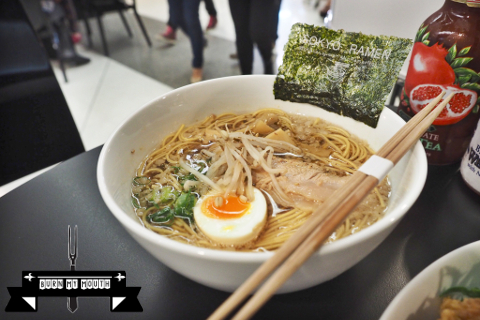 Even if you are not into ramen, you should check it out to savour the amazing flavours from the broth of the ramen. Opening hours: Sunday to Monday, 11:30am to 9pm; Tuesday to Thursday, 11:30am to 10:30pm; Friday to Saturday, 11:30am to 11pm. Expected to be closed at end of November 2015. We stumbled across this restaurant purely by accident. 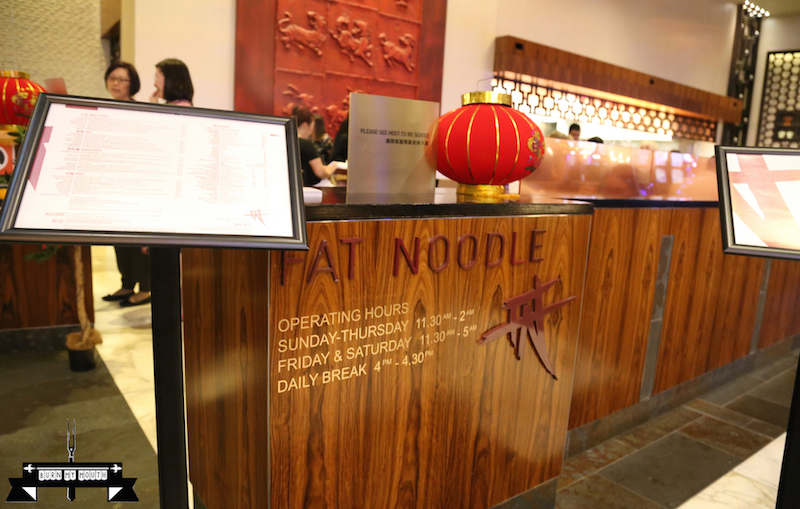 Located inside The Star, near the Baccarat action, this restaurant is associated with Luke Nguyen, the owner and chef of one of the best Vietnamese restaurants in Sydney, the Red Lantern. Naturally, we had high expectations of this place. The restaurant was set up with a long communal table in the middle, and a number of small individual tables on the side. At the back was a large open kitchen, where customers could see the chefs at work. The service of this place was pretty average, and we needed to flag down a waiter to place our orders. We were also told that we weren’t allowed to use our cameras to take pictures of food as we were inside the casino, although the other customers who took pictures of their food or selfies with their phones were not warned or talked to. However, we still managed to take a few photos of the food for all you guys to see. 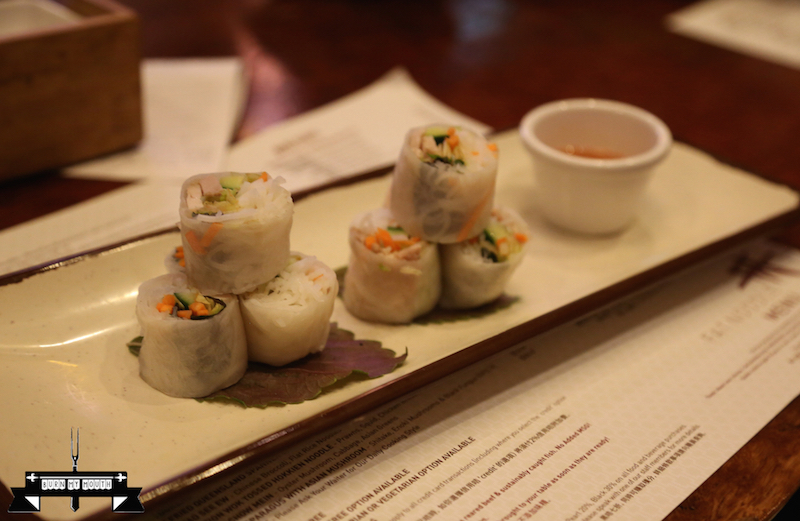 This dish consisted of four fairly small rolls, cut in half, and served on a plate. The rice paper wrapping and the vermicelli inside were both dry, and the taste of lemongrass was virtually non-existent. Very disappointing dish. 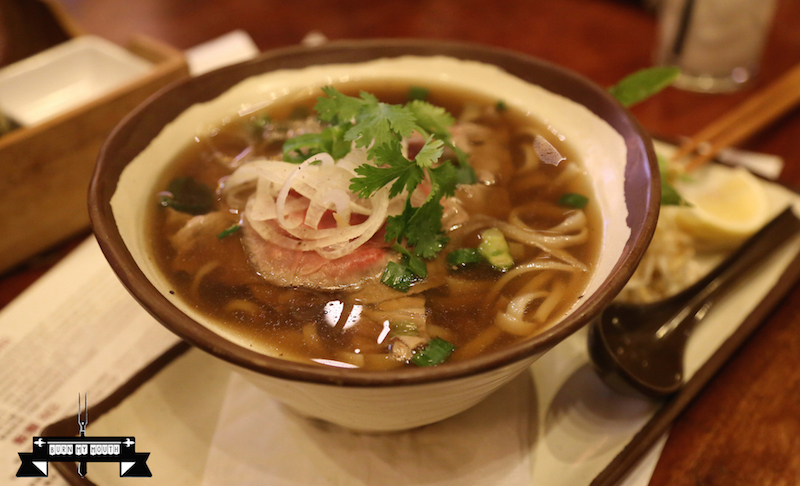 The rice noodles came in Luke Nguyen’s signature beef broth. The broth was too smoky, and there seem to be an overpowering note of star anise in the broth. A lighter broth may have brought out better the flavours of the Angus sirloin and brisket pieces in this dish, instead of overpowering them. 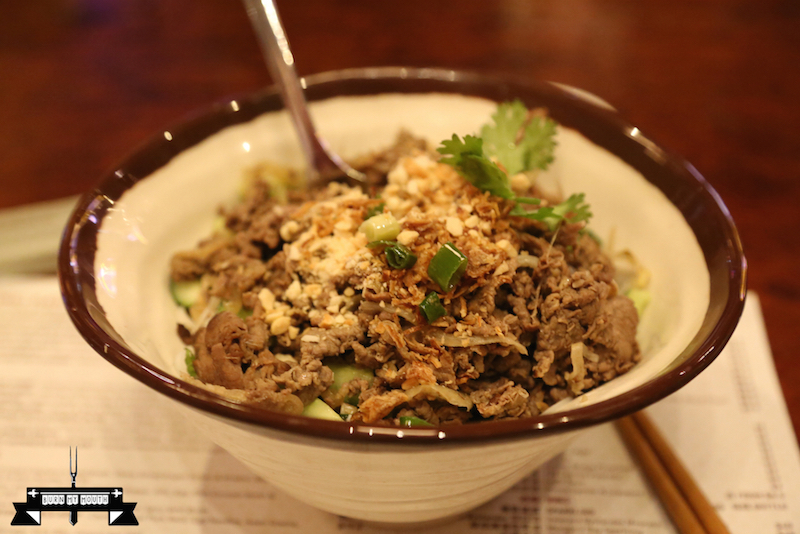 The beef was wok tossed with lemongrass, herbs, peanuts and vermicelli. It was a tasty dish and all the ingredients worked well together making this dish full of flavour. Overall, this is a good place if you are in the casino and are craving for some quick fast comfort food to satisfy your hunger before hitting the gambling tables again. 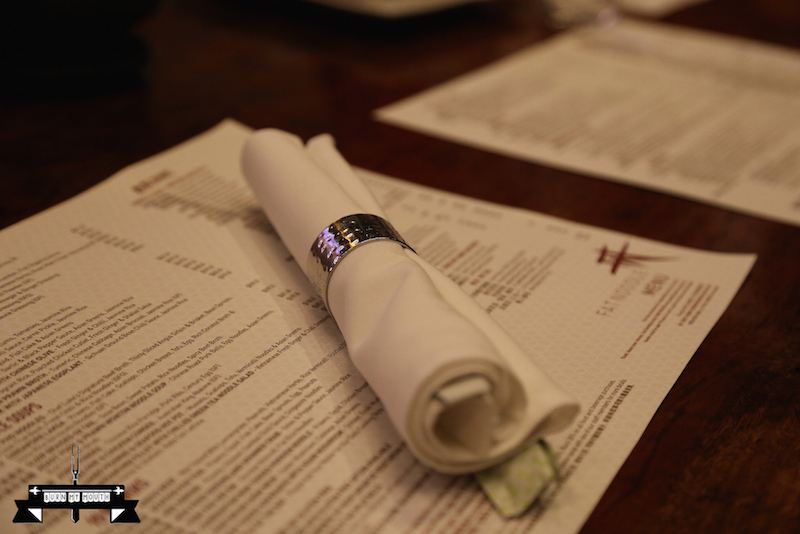 For a dining experience, this place does not live up to the name and the hype of Luke Nguyen.